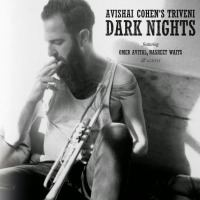 Israeli-born trumpeter and prodigy Avishai Cohen was already touring with the Israeli Philharmonic Orchestra as a teenager. He attended Berklee College of Music, and later, placed highly in the Thelonious Monk jazz trumpet competition. A progressive-thinking artist, he hasn't looked back musically. 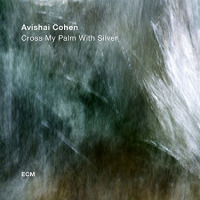 With his highly regarded group, Triveni, Cohen challenged his own resourcefulness and creative process in a trio without a chordal instrument. ECM Records founder, Manfred Eicher, had taken note of Cohen's performance and unique sound on Mark Turner's Lathe of Heaven (2014). Signing Cohen to what would become Into the Silence, the trumpeter's most personal work, this collection is dedicated to the memory of his late father. 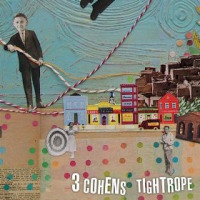 Cohen's muted trumpet defines an attitude reflecting the unselfish and probing nature of the album. 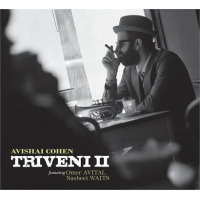 Joining Cohen is Triveni drummer Nasheet Waits, a focused, high energy player who easily adopts to Cohen's need for a refined and sympathetic touch. The increasingly in-demand bassist Eric Revis is fresh off Aruan Oritz' Hidden Voices (Intakt Records, 2016). Pianist Yonathan Avishai is a long-time colleague having played with the sibling sextet "3 Cohens" featuring the trumpeter and his multi-reedist sister, Anat Cohen, and saxophonist brother, Yuval Cohen. Rounding out the quintet is tenor saxophonist Bill McHenry whose deep resume includes recordings with guitarist Ben Monder, Paul Motian and an upcoming duo recording with Andrew Cyrille. The six Cohen compositions on Into the Silence are bookended by "Life And Death" and "Life And DeathEpilogue" and the self-acknowledged influence of Miles Davis has never been clearer than on the opener piece. So too, is the inspiration of the classical harmonies that Cohen had immersed himself in at the end of his father's life. In the midst of the sadly beautiful melody, Yonathan Avishai, interjects a blues/gospel feel, just long enough to gently alter the mood. Later, the pianist takes the equally moving epilogue as a solo. "Dream Like A Child" refers to Cohen's father's unfulfilled wish to become a musician, instead passing that love of music (and the learning opportunity) on to his children. 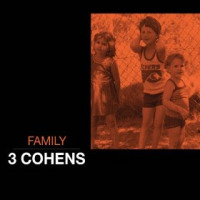 As the fifteen-minute piece builds in density, one can imagine all the Cohen children coming together to play for their father. The title track is a swirling airborne mix of memories and the jarring quiet of loss. Waits masterfully, sometimes forcefully, pushes the music where it's reluctant to go. "Behind the Broken Glass" rises and falls with raw emotions, acceptance and hope; the piece features standout performances from all and particularly McHenry. 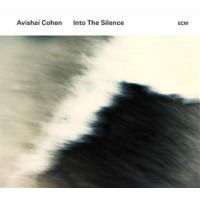 Besides being Cohen's finest composing and playing to date, Into the Silence is an extraordinary project on every level. There is a transcendence in this music that is both uplifting and heartbreaking. The group plays as one, they genuinely feel an appreciation of humanity and life-changing ramifications of loss. The rendering of these compositions is never over-sentimental, but never less than authentic. A masterpiece.